There is clearly a problem with the Dev Server and NextPVR. There are a lot of log files in that zip file. Which one is from the timeframe of your issue? I looked at the newest one but I don't see any live tv-related activity in there. Thanks ! It happens everyday so just included them all. Every day this week it happened and for the past several weeks it's been a daily occurrence. It also happened today in the earlier part of the day, scheduling recording didn't work and no recordings scheduled to record showed on the guide, but it does now and that is the same pattern that has happened every day this week and for approximately the last couple of weeks. If Luke is anything like me, I'm guessing he would like you to zip your logs up immediately after the issue next happens, and post the logs, so it takes the guess work out of what he's looking. at..otherwise there is just so much stuff in there and it's near impossible to find the relevant bit of the log. Edited by sub3, 25 November 2016 - 05:17 PM. I've got the logs with dates from this afternoon since I've been here testing this out and a screenshot of the CPU event. The CPU event happened again today, I was switching channels a lot remotely until it stopped responding quickly. I was trying to make it happen as I don't usually switch channels all of that much or use it for all that long remotely on average. So it looks like I can make that happen but this is the first time I was able to make it happen. It was exactly the same as I described before, it just started to work again properly about five minutes before this post. Edited by DParsons, 26 November 2016 - 02:59 PM. What CPU event are you referring to? What is NRecord.exe? I do notice some timeouts in there when attempting to contact the next pvr web service. It is the issue I had posted on the NextPVR forum. Link below. nrecord.exe is the exe file nextpvr uses when recording. This happens only when streaming live tv with emby and nextpvr as the dvr backend. Edited by DParsons, 27 November 2016 - 07:17 PM. This is not a light call, to poll there are better choices, but that 700ms frequency seems too high. Edited by emveepee, 30 November 2016 - 01:44 PM. Hey @Luke, I'm still seeing a 1hour time difference between the actual time and the TV Guide. 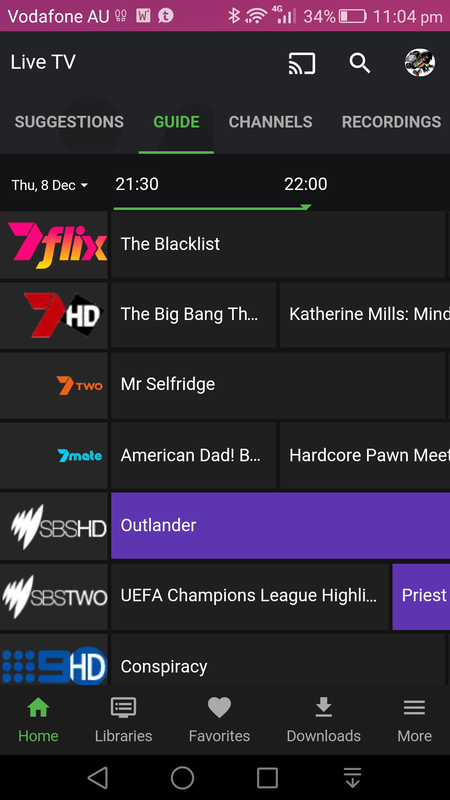 I have checked that the time/Date settings on both the server and Phone are correctly set and are accurate, but the TV Guide on Android is 1 hour behind. 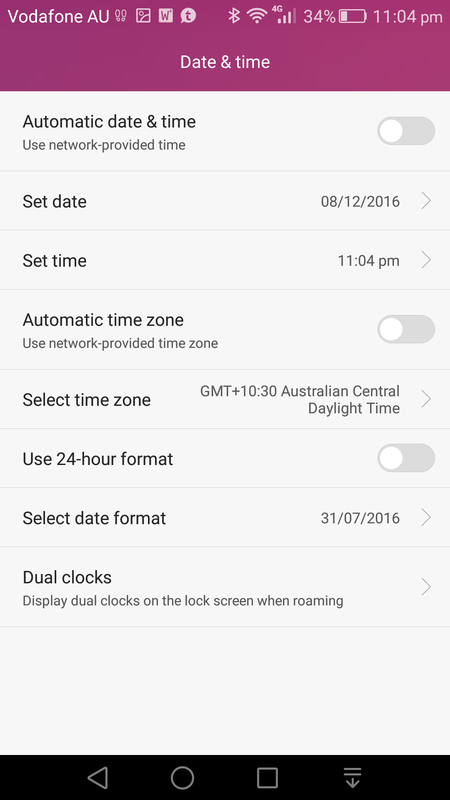 I have tried all combinations of date and time setting on the phone but the guide always shows 1 hour early - unless I manually change the time backwards by 1 hour on the phone, then the guide time matches the phone. I'm wondering if its something to do with Daylight savings time here in Aus.